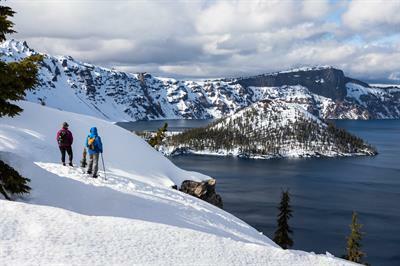 In an average winter, Crater Lake National Park receives 43 feet of snow! Ranger-led snowshoe hikes are a fun way to explore this winter wonderland while learning how plants, animals, and people survive the harsh conditions. 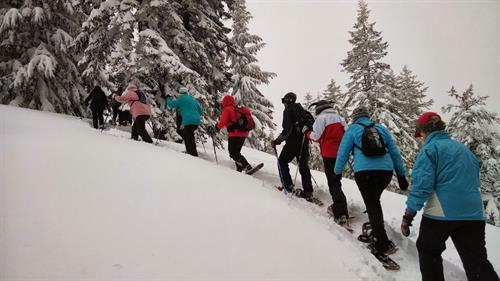 This winter, snowshoe hikes will be offered on weekends and holidays from December 8 through April 28, and every day from December 15 through January 6. They start at 1:00 pm, last two hours, and cover 1 to 2 miles of moderate-to-strenuous terrain. They don’t follow a trail—the hike is an off-trail exploration through the forests and meadows along the rim of Crater Lake. No previous snowshoeing experience is necessary. Snowshoes are provided free of charge, and there is no cost for the tour (apart from the winter entrance fee of $15 per vehicle). Participants should be at least 8 years old, be in good physical health, and come prepared with warm clothing and water-resistant footwear. The walks take place rain or shine (or snow). Pets are not allowed on the hike. Space on each tour is limited, and advance reservations are required. 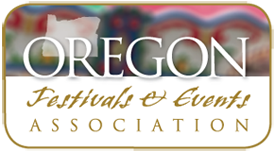 For more information and to sign up, call the park’s visitor center at 541-594-3100. The visitor center is open daily except on December 25. Organized groups (such as scout troops, hiking clubs, and church groups) may be able to arrange for a separate tour, staff permitting. Call to check on available dates.